Millennium by Backstreet Boys (CD, May-1999, Jive (USA)) - Disc Only!!! Celebrity by *NSYNC (CD, Jul-2001, Jive (USA)) NEW SEALED CD! 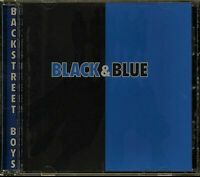 We ... my husband and I... enjoy listening to the sounds of the Backstreet Boys... and we like this CD the best from their collection. 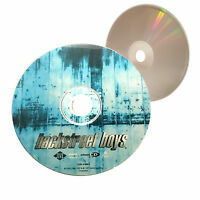 We also enjoy NSync... so if you like any of this type of music... then you will enjoy this CD as well. So happy!! Been feeling 90s nostalgia and these guys make me so happy!!! Just an awesome CD - every song on the CD is great except for the first song which I do not particularly like. If you are a Mom, you will especially like the last song which is entitled "The Perfect Fan". If you are in love, there are many love songs on this CD. I bought it to give to the man I love as a birthday gift. He just loves it!! A must buy CD!! Top nice cd! Cd trop l'top! Les BSB, un classique de ma musique de jeuness. Nick Carter, celui dont moi et toutes mes amies on raffolait! Ces des souvenirs auditifs, tout simplement! The BSB, just a classic of my chilhood. Nick Carter, the man who me and all my friends imagined to date with! All good musical memories, simply!